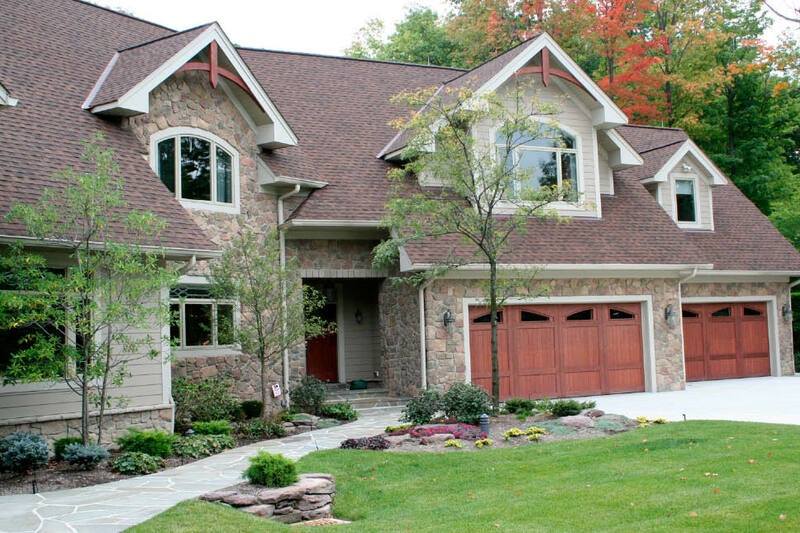 Builders and manufacturers of building products are often interested in how long home buyers actually stay in the homes they purchase—for example, to gain insight on what types of building products to use and how to market them. Buyers who intend to remain in their homes for at least thirty years are likely to be interested in siding, windows, flooring, roofing, heating equipment or other items that are durable, require relatively little maintenance, and conserve on energy use to reduce operating costs in the long run. Buyers who intend to remain in their homes for less than five years may still be interested in durability, low-maintenance, and lower operating costs, but they tend to think of these characteristics more in terms of their impact on resale value. A caveat here is that the length of time buyers ultimately remain in their homes may be different from their expectations when they first move in, but the expectations will govern what prospective buyers are looking for when shopping for a home. 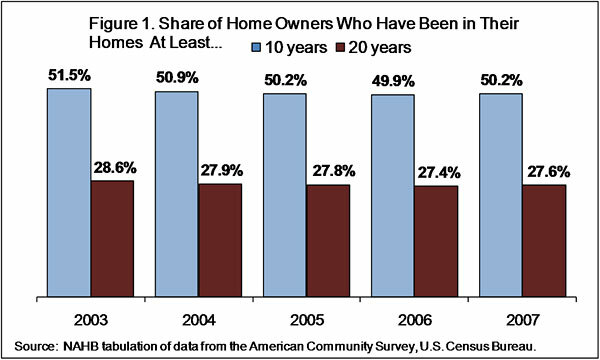 Housing policymakers and advocates also may be interested in how long buyers tend to remain in their homes. In the current economic and political environment, the issue arises when evaluating the cost to the American taxpayer of policies such as subsidized mortgage. In this context, it’s necessary to estimate how long the average home buyer will stay in a home in order to estimate how long the average subsidized mortgage will last. One simple way to gather information about how long people remain in their homes is to ask a representative sample of home owners how long it’s been since they moved in. This is, in fact, one of the questions the U.S. Census Bureau asks in its American Community Survey (ACS) – the survey based on (and that has replaced) the long form questionnaire formerly used in the decennial census. Although it takes the ACS five years to collect enough data to produce the geographic detail formerly available in a decennial census, that still translates to sample of about 1.3 million housing units a year for the current version of the survey, and about 500,000 a year in 2003 and 2004 during its initial phase when the survey was being ramped up to its present form. According to data from the most recent (2007) ACS, a little over 22 percent of single family home owners have been in their homes 10 to 19 years, 12 percent have been in their homes 20 to 29 years, and a little over 15 percent have been in their homes at least 30 years. Added together, this comes to roughly half of all single family home owners having lived in their homes for at least 10 years. There has been very little change in this percentage since 2003. These ACS percentages can’t readily be used to produce a true average length of time buyers remain in a home, however. As discussed in a 1992 NAHB article by Michael Carliner and David D’Alessandris, data on home sales has traditionally shown that about five percent of the owner-occupied stock turns over in a given year. If all homes sold exactly at that rate, it would imply an average stay of 20 years, about the same number you would get if you assumed that single family owners in the ACS have on average been in their homes for half the time they will ultimately live there. But this would overstate the typical length of stay because it neglects the effect of frequent movers—that is, those who will move more than once in a ten year period and bring the average down. In order to calculate a true average, it would be necessary to begin with a representative sample of people buying a home in a given year, and then track them year after year until the last one moves out. Information has not been collected in a consistent manner for a long enough period to produce a data set like this.